Erkan Oğur (pronounced [ˈeɾkan ˈoɰuɾ]) in the West (born April 17, 1954) is a Turkish musician. A pioneer of fretless guitars, he invented the first fretless classical guitar in 1976. A composer, he has influenced many musicians with his compositions combining the sounds of Turkish folk music and classical music with the ancient traditional music. He has played many concerts all over the world. He is regarded as a master of the kopuz and bağlama lutes. Erkan Oğur was born on 17 April 1954, in Ankara, Turkey. He spent his childhood in Elazığ, eastern Turkey, where he became interested in violin and the Turkish bağlama lute, and started to practice them frequently. He graduated from high school in Elazığ, then moved to study physics at the Ankara University Faculty of Science from 1970 to 1973. As a result of encouragement to be a scientist by his father, he started to study chemical engineering and in 1974 continued his education in The Ludwig-Maximilians University Munich, Germany, for three years. He was introduced to guitar education in 1973. Instead of being a scientist, he chose to be a musician. 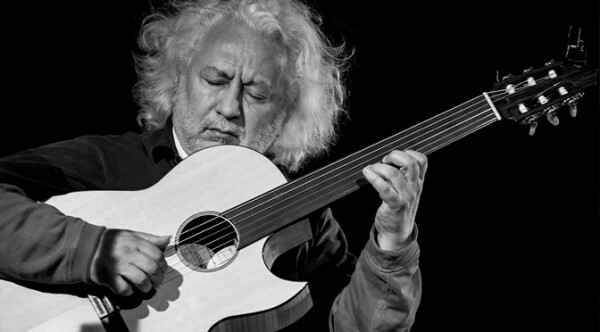 Since he needed detailed sounds from a guitar in order to obtain Turkish melodies, he modified his guitar and invented the fretless classical guitar in 1976. In 1980, he returned to Turkey, and started to study at the State Conservatory of Istanbul Technical University. After his military service, he worked as an oud lute teacher. He had live performances with Fikret Kızılok and Bülent Ortaçgil where he contributed to scene with fretless guitar. He released his first album in Germany called Arayışlar (“Searches”). In 1989, he went to the U.S. to work with numerous local blues artists, foremost of which was Robert ‘One Man’ Johnson. He introduced fretless guitar into blues. A year later, he released his first album in Turkey, Bir Ömürlük Misafir (“A Lifetime Guest”), which was ranked 4th in European lists. He still performs concerts through the world and in Turkey. He works with Kemal Eroglu on technical improvements on bağlama lute; and continues his performances with Fahir Atakoglu and Bülent Ortaçgil. In 2004, he played on Yansımalar‘s album Pervane (“Moth”). He is a member of the Telvin trio, which mainly performs Turkish folk music in improvised jazz style, with İlkin Deniz and Turgut Alp Bekoglu, and has released an album called Telvinin 2006. His soundtrack for the 2004 movie Yazı Tura by Uğur Yücel won two awards: the 2004 Golden Orange for Best Music at the Antalya Golden Orange Film Festival, and the 2005 award for Best Music at the Ankara International Film Festival.